It can be difficult to gain a balanced perspective on an album after reading a single summary of the music. Bias can tilt a review, as can personal taste, history and just about everything else that is unique to the person writing it. So in an effort to offer an expanded perspective in such a medium, here are four reactions, four impressions, Four Takes on Tomboy by Panda Bear. Ah, Panda Bear, the artist who launched 10,000 pompous hipsters. But, in all seriousness, how do you really begin to review Tomboy, an album that follows Person Pitch, a piece that completely redefined electronic music and brazenly shifted how samples and expansive soundscapes are created and recorded? Looking back now, it’s hard to judge what was more influential in regards to Person Pitch: the music or the movement – which manifested into dozens of sub-genres and like-minded artists. It’s unfortunate then (maybe), that an album as great as Tomboy has to, no matter how you shake it, be compared to something else. Thankfully, though, this is not a Person Pitch redux. Multiple layered samples and rhythmic patterns are instead replaced with swaths of echoy reverb and vibrating synth chords. Panda Bear, a.k.a. Noah Lennox, explained that this album would be less bright and wandering and more ‘structured’ than Person Pitch. He also mentioned that he recording sessions took place in a dark basement with only a single light, but even after one run-through of the album, it’s hard to imagine these songs, even at their darkest, coming from such a place – especially considering his Brian Wilson, larger-than-life falsetto is again front and center. For me, Panda Bear is the perfect kind of musician in terms of pure listener enjoyment: the more time you put in the more you take away. That’s not to say that he is the only musician I feel this way about, but for the sake of this review, and Tomboy in general, the description seems fitting. Tomboy and Panda Bear aren’t for everyone. And whether or not it takes a “music nerd” to “get it” is completely, and rightly, up for debate. But I would argue that a piece like this isn’t necessarily for a so-called ‘casual music listener.’ Like all of Panda’s music, in and out of Animal Collective, it usually takes time to appreciate songs like this. But sometimes music begs for that kind of uninterrupted, invested attention. Tomboy is that kind of album. It’s been a good minute since the last Panda Bear record, but a lot of folks have been anticipating Tomboy’s release. With words like “summery” and “accessible” have been thrown around in reviews for this album as of recent, but both are great words to describe the sentiment of feel-good music that Panda Bear has laid out here. Throughout the near 50 minute exploration, you hear a lot of elements that weave around the sounds of Merriweather Post Pavilion, but imagine more percussive and vocals that trend toward the stark echoes, such as “You Can’t Forget Me,” whereas grooves become more alive and existent in the title track as well as “Slow Motion.” Elsewhere you have songs like “Last Night At The Jetty,” which plays more like the Smashing Pumpkins “1979,” moreso in terms of nostalgia than it does experimentation. The record definitely harkens back to a time when music was to be enjoyed as an entire body of work rather than selective tunes. 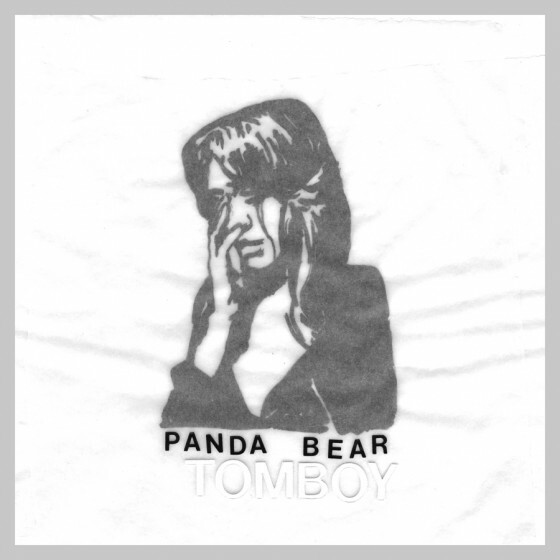 In the case of Tomboy, it definitely plays to those strengths and makes for yet another success in the Panda Bear discography. As a preface to this review, I want to point out the the last album Panda Bear released, Person Pitch, was the #1 album on my list of best songs of the ’00’s. That leaves pretty big shoes to fill, especially after waiting for four years for the follow up album to drop. While it wouldn’t be fair to say whether Tomboy reaches the dizzying heights of Person Pitch, the fact that it isn’t a resounding disappointment is a gigantic compliment to both Noah Lennox and his latest LP. Starting with the hypnotizing beauty of “You Can Count on Me” and winding through the 11 song, 50+ minute LP, Panda Bear is as pristine and compelling as ever. From the longer, more elaborate tracks like “Friendship Bracelet” and “Afterburner” to the more direct, sublime pop tracks like “Surfers Hymn” and “Last Night At the Jetty,” Lennox shows his truly amazing songwriting talent. With a Brian Wilson like sense for melody, melancholy and drama, Panda Bear has become the mainstream electronic avant pop song smith of the 21st Century. The songs on Tomboy are engrossing and swallow the listener in blankets of soft noise, with each listen rewarded with a new treat put together by . I didn’t think it possible that there would be an album that would be able to “follow up” on Person Pitch, but somehow Tomboy does. The long-awaited, repeatably delayed, now finally here, and yup it’s almost epic-like. The fourth release from Animal Collectives’ co-founder Noah Lennox, better known as Panda Bear. Since Animal Collective’s 2009 ground breaking Merriweather Post Pavilion it appears the musical landscape has titled. Bridging the gap between indie’s psychedelia and glitchy experimental electronica. On Panda Bear’s follow-up to his 2007’s Person Pitch, Panda Bear further explores the spaces in between adventure and discovery on Tomboy. Heavy does of reverb-soaked, multi track vocal harmonies carry the opener “You Can Count On Me” with a warm, cheerful, hypnotic melody, aided by sprawling guitar chords. Followed by the slow pounding haze of “Tomboy” with it’s revelatory vocal technique. There’s the brilliant Phil Spector collage of sounds on “Slow Motion” buried in a wash of Brian Wilson harmonies and hand claps. ”Surfers Hymn” is a winner as it soars after a splash of bells and noises shifts to a swell of harmonies. Among the records highlights, the indie waltz “Last Night At The Jetty”, a raunchy mid-tempo thumper closest to Animal Collective’s MPP. Swirling and spinning it’s own Daydream Nation. Tomboy goes off track on the ambient “Drone” a testy, synth-driven track, with high pitched sharp frequencies flushed with warm textures. This requires an extra patience since there no boom-bap of anything. “Alsatian Darn” is built on weird synths amist huge vocals hints at a buried pop song. The piano ballad ”Schenerazade” is spacious, sorta of new age for new kids. “Friendship Bracelet” is a nice floater. “Afterburner” is a drab techno workout. While on the closer, the gorgeous “Benfica”, Lennox captures the harrowing vocals awash in atmospherics without making any grand statement. There’s a relaxed mood that is as subtle as exploratory. Although lacking the dynamics of Pitch Perfect, if Tomboy only had “You Can Count On Me”, “Tomboy” , “Slow Motion”, “Last Night at The Jetty” and “Surfers Hymn” it would rank as terrific. Although part of the record weighs heavy not emotionally, but clouded in mystery, making it’s way to being evocative headphone music. It’s as if Lennox, working with producer Sonic Boom (Spacemen 3/Spiritualized) and is living some Beach Boys fantasy through a 21st century vibrant lenses. Tomboy seems to be two records, the first half that’s open ended excellence and the second half which feels like an effort not to stray to far away from what works. The beautiful, dream like excursions of the second half, feels unfocused, without a knockout punch as hypnotic and immediate or as “Slow Motion” or “Last Night At The Jetty”. The first half of Tomboy is one hell of a ride. I’ll take what I can get. i’m agreeing with these high scores. i can’t stop listening to “you can’t count on me” while biking down big hills and grinning. Shame shame Zoe – Listening to music while biking is dangerous. Didn’t you have some horrible bike accident last summer? I smell a four takes on bike safety.